At the end of the first game in the 2014/2015 MNRL played between the Eagles v Titan's, the match officials voted Titan's forward Manqoba Ginindza as Man of the Match. Titan's player Manqoba Ginindza going over for a try against The EaglesThe first game of the 2014 leg of the MNRL took place over the weekend. The Titans took on the Eagles at the new venue in Ezulwini. It was a perfect day on an excellent pitch for a great game of rugby and neither side disappointed the spectators. .The 2014/2015 Malayisha National Rugby League or MNRL kicks off in November 2014. This year we will only have three clubs participating in the league due to the failure of the Vondo's Rugby Club to have a 15's side. The three clubs competing for the MNRL trophy are The Titan's, The Eagles and new boys The Harlrquins. Robbie Thomas with players at his farewell rugby match.SKRUM volunteer Robbie Thomas left the country yesterday having spen eight weeks working with the SKRUM Programme and assisting the national team coaches with Sizeze Eswatini. Robbie will return to Australia to further his studies. 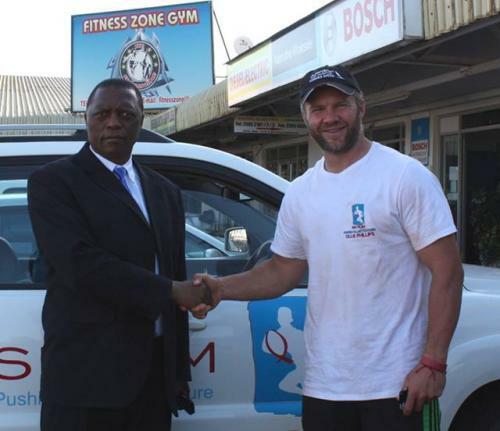 The SKRUM Programme coaches were in Sankolweni to hold a SKRUM Community rugby session. 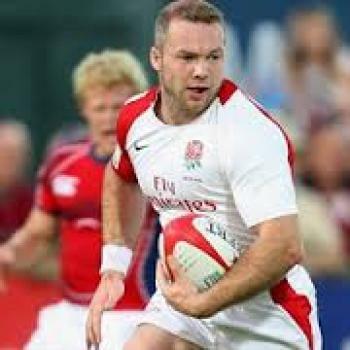 Accompanying the caoches was England 7's player, Ollie Phillips. Ramiro RisottoTwo new volunteers have arrived in the country today.